Most new carpet installations can be completed in a day. It is wonderful to wake up in the morning with threadbare carpets and have fresh, clean carpets by dinner time. They only thing that would slow down this process would be getting the old carpets hauled away. That’s because once they’re rolled up, they can prevent the installers from having a clear space to work in. This is a problem that is easily solved with one call to Junk King Denver. Junk King is going to send over a team of movers who will be able to swiftly remove that rolled up carpet. This is one of those tasks that can only be accomplished with two people doing the lifting and the Junk King squad has all kinds of lifting experience. Once that rug is removed, you can put that lifting experience to work with some other heavy objects you might be interested in getting rid of. Is there furniture that you’re replacing from the room with the new carpets? Is there an old washing machine down in the basement that needs to be brought up? What about all the things you could toss out from your closets? All of that can be turned over to Junk King in the same session you set up to get rid of your old carpets. 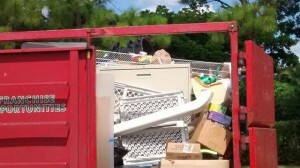 As the Junk King crew loads up all you unwanted items onto the truck, they’ll be mentally sorting through those things to see which can be recycled and which can be donated. Junk King is eager to make those kinds of contributions for a greener Denver. It is just how they operate. When you have the date for your carpet installation locked down, then book your session with Junk King. You’ll probably be able to pick the best two-hour window for your day that would give plenty of time for the installers to pull up the old carpet. Junk King can get in and out without disturbing any of the work. Having old carpets and junk hauled away by Junk King Denver are going to make your home look great. Book your session today. This entry was posted in Denver Junk Removal and tagged Junk King, old carpets, rubbish on September 30, 2018 by Junk King. Last updated September 30, 2018 .